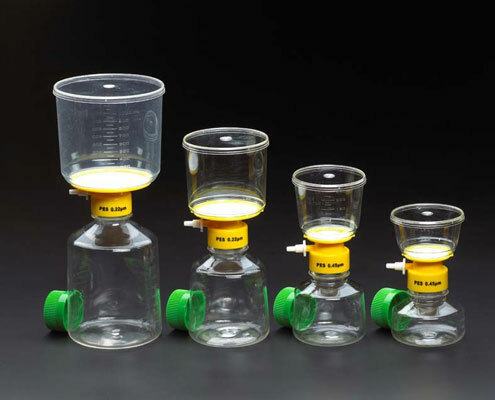 The best filter system and bottle top filters for your laboratory will depend on the nature of your research. Choosing the right one can be the difference between accurate and inaccurate results. 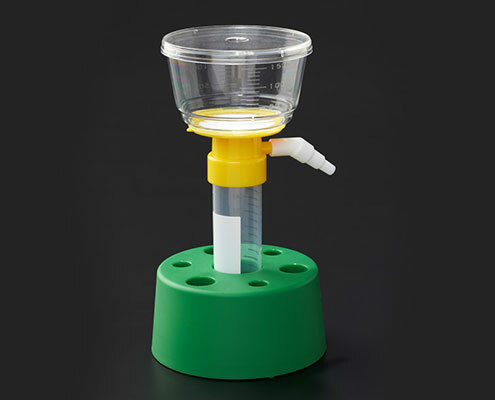 At Pipette.com, our experts have compiled the following blog to help you decide on the best filter system for you as well as explore the benefits of bottle top filters. The first step in choosing a filter system is deciding on a membrane type – PTFE, GHP, PVDF and Nylon are the most common types. For example, aqueous samples should use a filter system with a hydrophilic membrane such as GHP, PVDF or Nylon, whereas non-aqueous samples should use a filter system with a hydrophobic membrane such as PTFE membranes types. Additionally, for samples high in protein, filters with low protein binding are recommended – these include GHP and PVDF membrane types. The pore size of your filter is usually a personal preference that will vary depending on the sample being collected. One of the most common sizes is the 0.45 pore. This pore size is perfect to remove the majority of contamination from a sample. For more specific samples the 0.2 µm pore sizes is usually used to get a pure sample. Filter systems will ensure that no matter what kinds of samples you’re working with, you have the ability to ensure that your samples remain contaminant-free. With our wide selection of CELLTREAT filter systems, you’re sure to find something that suits your laboratory’s needs. Bottle top filters are an ideal way to filter your solutions and minimize the risks of contamination. Even the smallest amount of contaminants can skew the results of your research, making these products a great investment that can give you piece of mind through their efficiency and reliability. 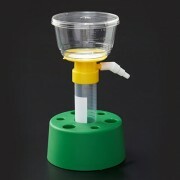 Take a look at our selection of CELLTREAT bottle top filters here. With a focus on customer demand, the management and product development teams at CELLTREAT have years of experience behind them to ensure that these demands are met. For those looking for quality filter systems and bottle top filters, our selection at Pipette.com is guaranteed to have something for you.